The shoeplosion during the Duke-North Carolina game ignited a frenzy of criticism of Nike after the Blue Devils' biggest star was injured. BEAVERTON, OR: College basketball’s greatest rivalry was compromised by a pair of Nikes. 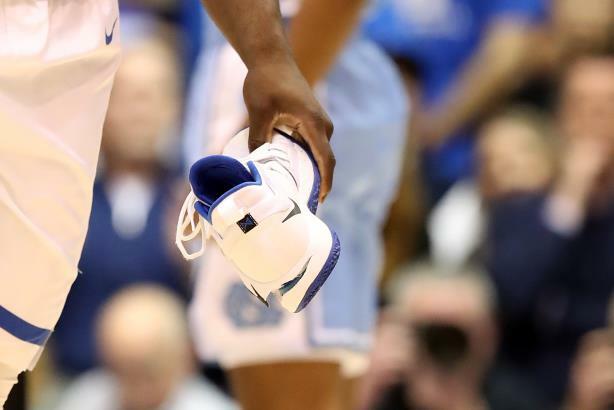 When Duke forward Zion Williamson made a cut during the game against arch-rival the University of North Carolina his left sneaker ripped apart and injured his right knee. It forced him to sit out the rest of the game, which UNC went on to win. The then-number-one-ranked Blue Devils were undone by defective shoes. The outrage was immediate and the memes followed soon after. Nike sent out its own statement to quell the criticism. NIKE STATEMENT: "We are obviously concerned and want to wish Zion a speedy recovery. The quality and performance of our products are of utmost importance. While this is an isolated occurrence, we are working to identify the issue." PRWeek contacted four PR pros to elicit their commentary on Nike’s crisis, whether the incident will impact its ability to secure team partnerships, and how they rated Nike’s response. "When the health of your college athletes is at stake, not to mention the millions of dollars they help generate for your school, quality ranks near the top of criteria in the selection of shoes and other sporting equipment. Nike tried to claim this is an isolated incident, but there is a history with this brand that tells a different story. Nike is very good at publicly taking ownership of the issue and claiming it will address the problem, but this shows it has much more work to do. I’m sure its competitors will use this latest incident to steal clients." "People expect iconic brands like Nike to take ownership of the problem, quickly apologize, and show a genuine desire to address the issue. It called the situation with Zion’s shoe ‘isolated’ in a statement. It’s not, as it has happened before. This high-profile product failure played out live on national television with the NBA’s projected number one draft pick, and was instantly amplified online. Nike should have immediately taken control of the narrative. It’s curious why this did not happen. It will be interesting to see what relationship the brand pursues with Zion - if he wants one - in what should be a long and successful pro career." "All customer and investor communication messages should point toward quality, stability, and performance in its products. Nike should lean on assets supported by results, not just words – case studies, comparative industry benchmark data, championship team affiliations, and other tier-one athletes who can attest to the impact its quality has had on their performance. This quality-first message should be supported by objective data and success metrics that Nike’s competitors cannot dispute." "Nike will benefit from its decades of performance equity. Many of the greatest athletes in the world relied on Nike products to support their performance. If Wednesday night was truly an isolated incident, the brand will not suffer negative long-term impacts. The real concern will be if customers – especially high-profile individuals or teams – come forward with experiences similar to what happened with Zion Williamson. Other brands must use this incident to consider the implications of their own failures in highly visible or business-critical situations. Communications and marketing leaders should collaborate with executive teams to answer the question, ‘What would we do if this happened to our business?’"